Ritchies Queenstown base is centrally located in the Wakatipu Basin allowing quick and easy access to downtown Queenstown, Arrowtown and the airport. 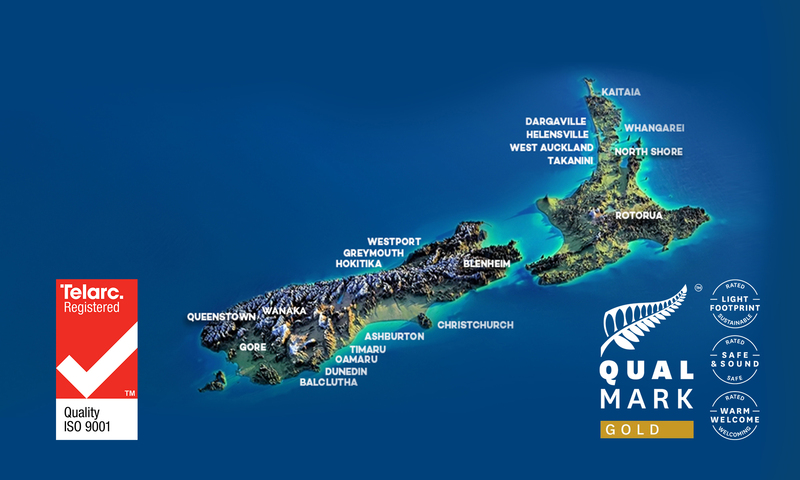 Our Queenstown public transport system connects downtown Queenstown to Arrowtown, Queenstown Airport, Arthurs Point, Kelvin Heights, Fernhill, Sunshine Bay, Frankton, Lake Hayes Estate, Shotover Country, the Five Mile shopping Centre, Jacks Point and Quail Rise. Daily we run multiple trips between Queenstown, Cromwell Wanaka and Dunedin. We have a large range of vehicles based here from vans to luxury coaches.